As is more and more frequently the case, I learned about this book via Twitter. 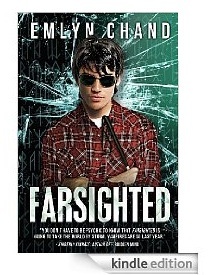 Author Emlyn Chand (@emlynchand) offered Farsighted as a freed download on the 9th. I had seen it mentioned a few times on Twitter in glowing terms (in fact, its Amazon product page lists quite a litany of awards: Overall Winner of the Dragonfly eBook Awards, 2011; Best Young Adult Fiction, Dragonfly eBook Awards, 2011; Best Debut Author, Dragonfly eBook Awards, 2011; Winner of the Alternative Booker Award, 2011; Winner of the WritersType First Chapter Competition, September 2011), so I thought I’d give it a shot–despite my recent efforts to offset the YA jag I’ve been on. I finally picked it up yesterday, and despite a couple phone calls trying to interrupt my reading train of thought (sorry to the people who were trying to talk to me… I really wasn’t paying attention to you as I snuck in a few more words of the book between sentences… You should know me better now than to expect me to pause that long…), finished it in one sitting. This book grabbed me and held on to me for the way it dealt with “talents”. Especially those that further marginalize you from the mainstream. Alex is born blind and has to deal with overprotective parents and a town full of kids who seem all too willing to follow the distasteful lead the town bully lays out for them to follow. 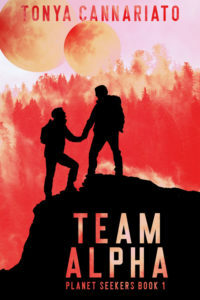 The book begins with Alex not looking forward to the beginning of his sophomore year, and the unexpected arrival of a new burden. So while this book was true to the uncomfortable transition early High School experiences offer kids, it also dealt with universal themes–the hallmark of any truly good story. I’m happy to recommend this (even at its full price!) to anyone interested in a story about finding your own way in trying circumstances. The analogy between psi and magic talents in Rowlings’ books is pretty obvious, so I would say anyone who could appreciate those will also appreciate this–which turns out to be the beginning of a series itself. I’m really looking forward to seeing how it develops, myself. This was a great review! I have a LOT of friends who are doing the young adult fiction books right now. (i.e Hunger games, etc) Will absolutely forward this review to my facebook friends! Thanks! Also, one more favor to ask if you don’t mind. Would you kindly cross-post this review to Amazon and GoodReads? 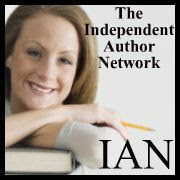 It really helps new authors gain exposure, and I’d appreciate it so very much.